Click here to download free version. 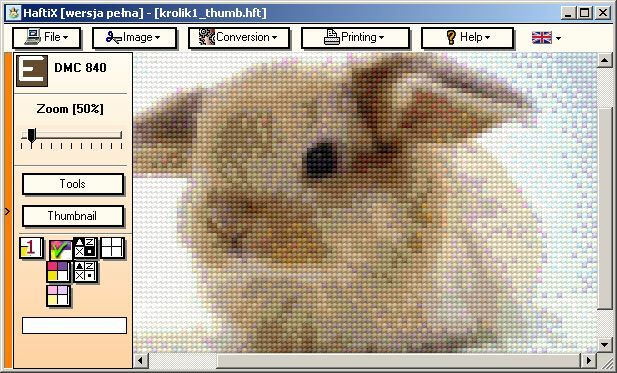 Probably world largest cross stitch pattern was designed in HaftiX. The application may be downloaded for free and used for unlimited period of time. The main limit in the non-registered version is that it prints only one page of pattern. If you need the application for small patterns, you may have it completely for free. colour monitor with minimum screen resolution of 800x600.